Pink colour silk cotton saree with light blue colour border saree and stone work blue colour back neck blouse . 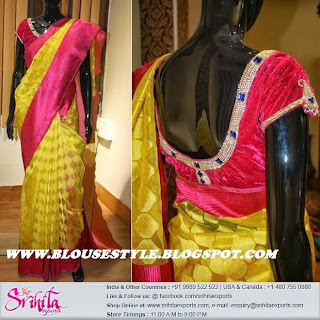 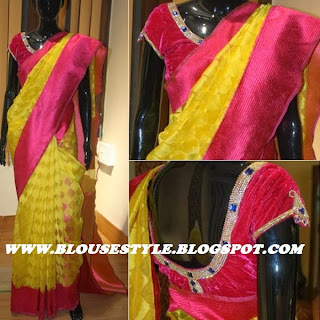 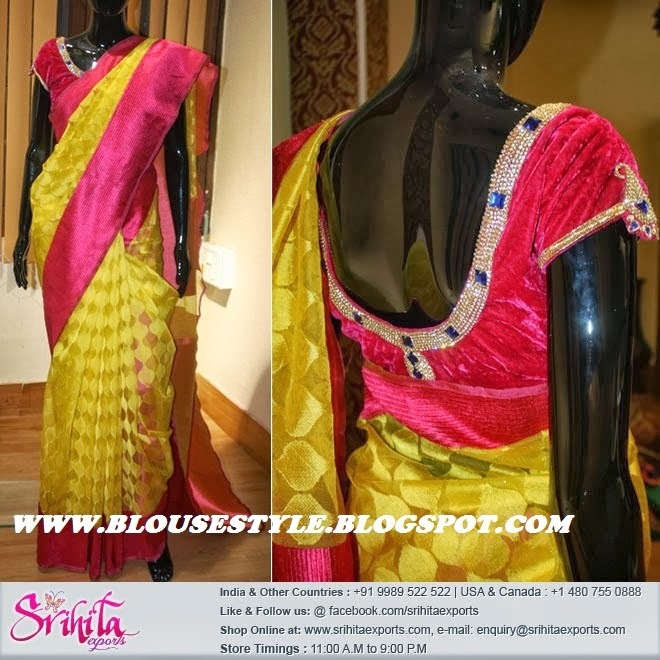 Yellow colour with pink colour border saree and stone work designer back neck velvet blouse for cap sleeve. 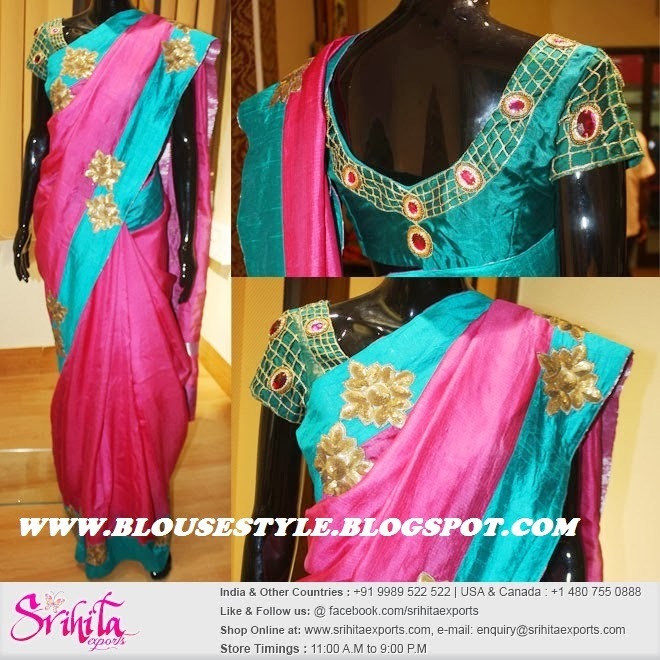 Purple colour cotton saree with green ,pink border saree and designer stone work back neck velvet blouse . 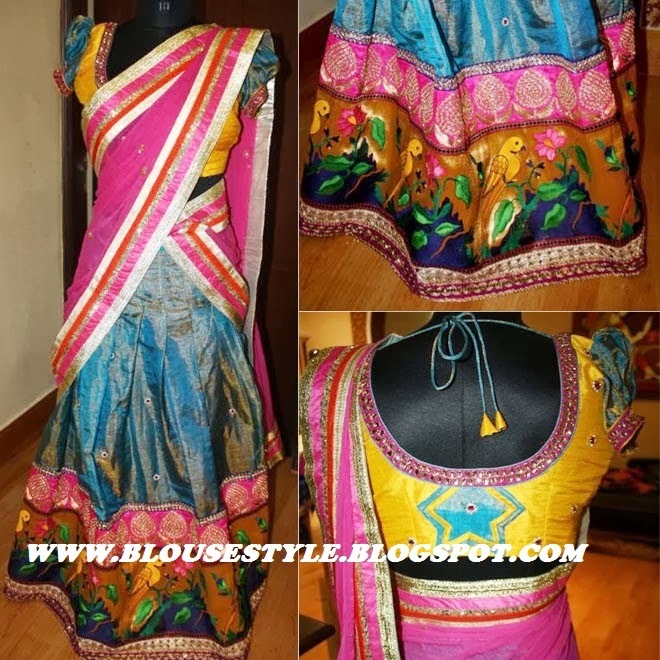 Multi colour fashion designer half saree with peacock designs printed.this blouse for yellow colour with pink colour kunthan stone work puff sleeve back neck blouse. 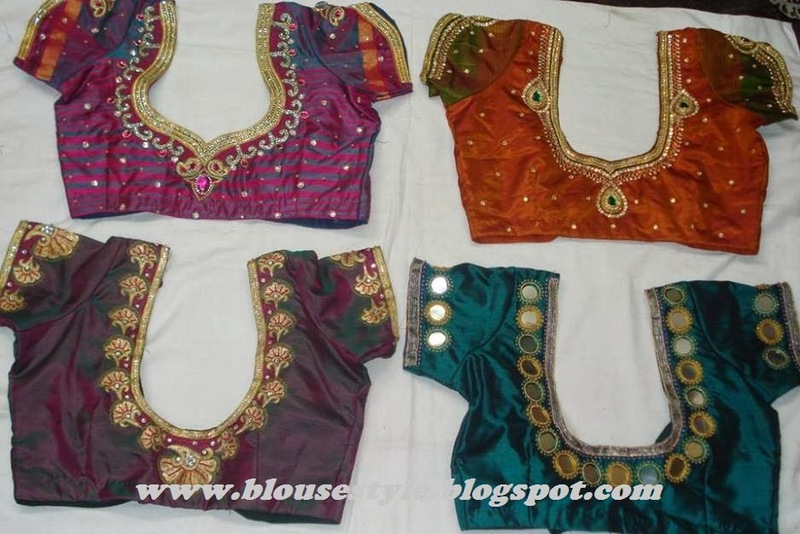 Designer and Maggam work ,kundan work ,stone work ,zardosi work ,mirror work blouse patterns.